Pre-Kindergarten French Program teacher Cécile Roques has a passion for dance, and has practiced jazz, ballet, and modern dance since she was a girl. Nine years ago, while she was teaching underprivileged children in Paris, Cécile began to use modern dance as an educational tool. When she came to teach at ISTP, she brought her passion for dance education with her. 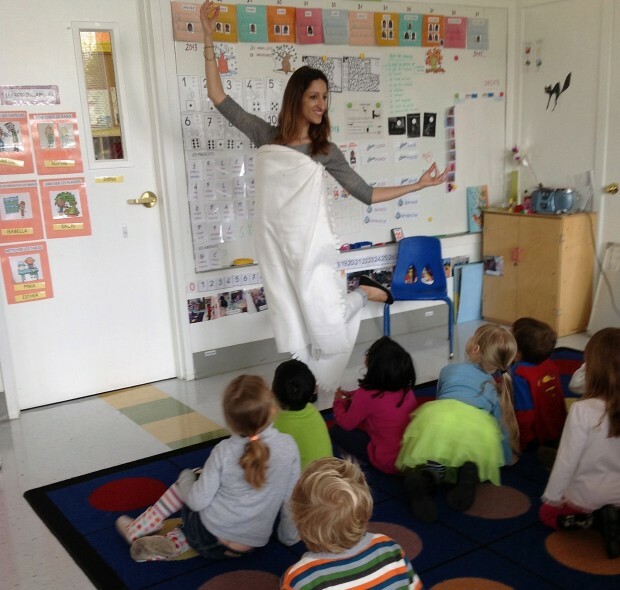 This spring, Cécile led her Pre-K French class in a collaborative dance project with another Pre-K class at the Berkeley School, an independent school in Berkeley. The two classes agreed to practice independently, and then meet to perform for each other. Once a week for three months, Cécile’s class practiced modern dance through play-based dance games. She also encouraged students to improvise and express themselves through movement. Cécile took video of her students practicing, and shared the video with their partner class. The Pre-K class from the Berkeley School in turn sent footage of their own dancing, which ISTP students eagerly anticipated and truly enjoyed watching. On May 14, Cécile’s Pre-K class traveled to Berkeley for a “dance field trip.” The ISTP Pre-Kindergarteners performed the dances they had practiced, and watched the Berkeley Pre-K students put on their own performance. The trip was a fun learning experience, and the ISTP Pre-Kindergarteners were especially interested to meet Pre-K students from another school. Finally, on May 17, students demonstrated the dancing skills they had learned for their parents, in a performance in the Cowper Social Hall. ISTP would like to congratulate Cécile’s Pre-K class on all their hard work. Watch the video clip below for a glimpse of Pre-K dance practice.